Do you know the first question to ask yourself before planning a presentation? How about the five mistakes that most undermine presentations? And can you identify the three elements that audiences eagerly look for in presentations they attend? You’ll get the answers to these and many other questions in “Why Bad Presentations Happen to Good Causes,” a one-hour webinar based on the book of the same name and geared especially to the needs of public interest presenters. * And good companies, too! 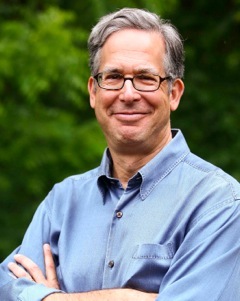 Andy Goodman is a nationally recognized author, speaker and consultant in the field of public interest communications. Along with Storytelling as Best Practice, he is author of Why Bad Ads Happen to Good Causes and Why Bad Presentations Happen to Good Causes. He also publishes a monthly journal, free-range thinking, to share best practices in the field.